Riccardo Spagni is described by some as Africa's leading expert on blockchain and crypto-currencies. 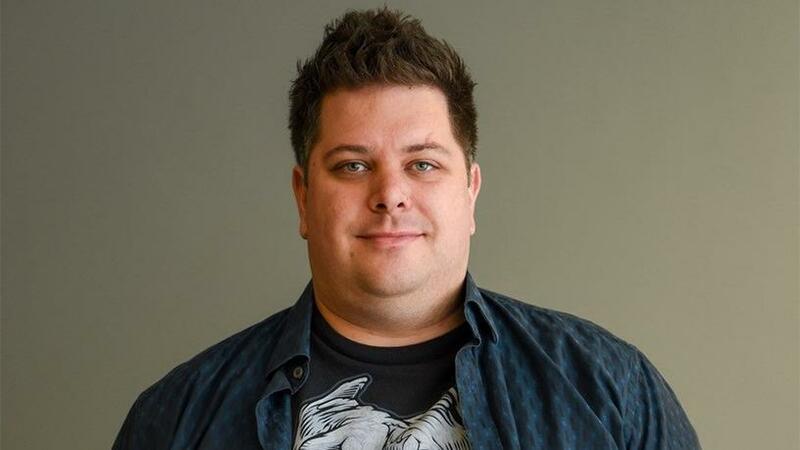 South African developer Riccardo "Fluffypony" Spagni is in a new blockchain venture. Spagni is described by some as Africa's leading expert on blockchain and crypto-currencies. He is the public face of Monero, one of the world's top 10 crypto-currencies, with a market cap of $1.35 billion. Today, Spagni announced a new open source blockchain protocol, Tari, being built to "redefine the digital asset experience, for both businesses and consumers, by making these assets easier to manage, trade and use". The platform will be hosted and stewarded in SA, and will be underpinned by an incubator, Tari Labs, that will bring together some of the brightest minds in the industry to create real-world blockchain applications in Johannesburg. The project is being backed by some of Silicon Valley's leading venture capital funds and is headed by Spagni; Naveen Jain, US-based entrepreneur and angel investor; and Dan Teree, who built Ticketfly into one of the biggest players in the US ticketing industry before selling it to Pandora in 2015. In an e-mail interview with ITWeb, Spagni says Tari Labs is a blockchain incubator that is starting in Johannesburg. Its primary focus is to build Tari, which is a decentralised assets protocol. "We're very well-funded. We don't want to talk about the amount, because we think it's a distraction. But we have investment from tier one venture capitalists in the US and around the world. We have investors such as Redpoint, Trinity Ventures, Canaan Partners and many more." The target market is anyone who wants to issue a natively digital asset, says Spagni. "We have specific targets that we think it will be useful to, such as loyalty points, tickets and in-game assets. But mostly, there are so many areas that use native digital assets right now: in game currencies, crypto assets like Cryptokitties and so on. "These are all things that can benefit from using Tari. We're writing software, we're not dictating what the use cases are. But we have specific industries we think will benefit from it first." The company is two years away from releasing the protocol. Over the next two years, it is going to be talking to people who have native digital assets and speak to them about moving their assets to the Tari blockchain. "That is functionality we can provide. We're extremely well-connected in this space, especially due to what Dan, Naveen and myself have been exposed to, the networks we have in SA and abroad. So there are tonnes of potential users for the Tari chain." According to Spagni, there are a couple of challenges in managing digital assets. Firstly, the original issuer often doesn't benefit from subsequent sales in residuals, he notes. "Think of in-game assets: you are a game manufacturer and you create an in-game asset. That asset is purchased for $20 and then the gamer resells it for $200, but as the original issuer, you don't get anything from that second sale. "You spend time designing that thing and all you got is $20. That's not to say the person reselling it shouldn't benefit, but you should at least as the designer get something." Another challenge is reducing fraud. Often systems are good at issuing assets, but very bad at building systems so people can validate them, he notes. "Ticketing is an example: you forget to buy a concert ticket, so you panic and go to Gumtree and find someone selling it. They give you a physical ticket, but you have no way of easily validating whether the ticket is fake or not. That's another thing that can be solved by using a blockchain." Spagni believes much of the talent needed to build the platform already exists in SA, and "it's for this reason we are setting up in Johannesburg; a first for South Africa and Africa. "The process of recruiting our team is well under way. Our developers have the opportunity to build a decentralised assets protocol, on top of Monero, that will be used by millions of people in their everyday lives. "It is our hope that when Tari goes live, businesses of all sizes will see new economies and possibilities open up, and consumers will regain power to participate in these economies," concludes Spagni.